Durham University is to create two new colleges to the south of the city at a cost of £105m, it has confirmed. A consortium led by construction and services firm Interserve will design, build and operate the colleges at Mount Oswald, which are due to open in 2020. The scheme will deliver 1,000 beds and include a new building with a 300-seat eating hall, as well as sports and music facilities. The university said the project was a “key element” of its expansion plans. As part of the scheme, Interserve, fund and asset management firm Equitix and on-campus student accommodation developer and operator, Campus Living Villages UK, will design, build, finance and operate two new colleges on a 51 year term. The project is being built on a site acquired by the university to the south of the city, and is due to be completed in 2020. Debbie White, Interserve’s chief executive, said: “We are delighted to have reached financial close on this project and look forward to starting on site imminently. 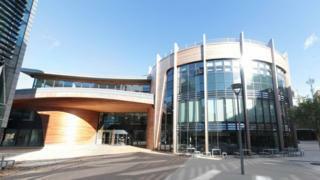 Durham University already has 16 colleges and a student population of more than 18,000. Interserve employs 80,000 people worldwide and made a £6m loss in the half-year to the end of June, compared with a profit of £24.6m during the same period last year. Brexit deal or no deal: What about my pension?